Gillco Parkhills : Key to the home of your dreams! Gillco group has launched a new residential housing project called Gillco Parkhills, located strategically in the heart of Mohali. The complex has a modern and super stylish architecture which is uniquely designed in sync with its environment and surroundings. The project is basically known for its style as every space has been designed and created for functional use and appeal. It offers you skilfully designed 2, 3 and 4 BHK apartments, with optimum sunlight, cross ventilation, privacy along with fresh air and green surroundings. 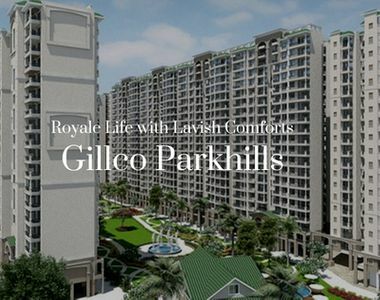 Stylish and luxurious indoors is what basically defines Gillco Parkhills Mohali. Each apartment has been designed to give maximum use of space. Each home has beautiful finishing to the floors with wooden base, and are brightly lit homes with beautiful interiors. A spacious home built with quality and love which makes you feel proud. The semi-furnished air-conditioned apartments come with wooden flooring, kitchen equipped with sink, and chimney with provision for water purifier and geyser to give maximum comfort to home buyers. For safety purposes, there is 24-hour security with intercom system and advance fire systems along with two lifts. It has plethora of modern amenities which you can't find anywhere easily like spa with sauna & Jacuzzi, water fountains, an elite club house, and a party hall. For the ones who are concerned about their health, they don't have to go far as the project has a well-equipped gymnasium, swimming pool, tennis & badminton courts along with jogging track. There are yoga and meditation rooms as well. Starting at Rs. 47.19 lakhs Gillco Parkhills price slowly extends up to Rs.1.03 crs supported by multiple payment options and friendly home loans. This project is situated right beside the 200-ft. airport road, which makes commuting a breeze. Travelling to the international airport would be easy for home buyers and investors. 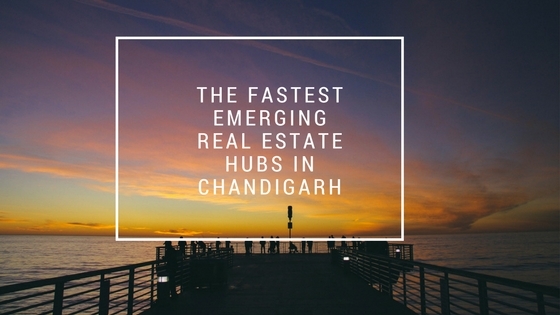 The complex ensures a smoother connectivity to Chandigarh and other neighbouring cities. Also, the project is near the famous North Country mall, where you can shop your heart out. A number of renowned hospitals like Fortis, Max, etc. are also near the complex. 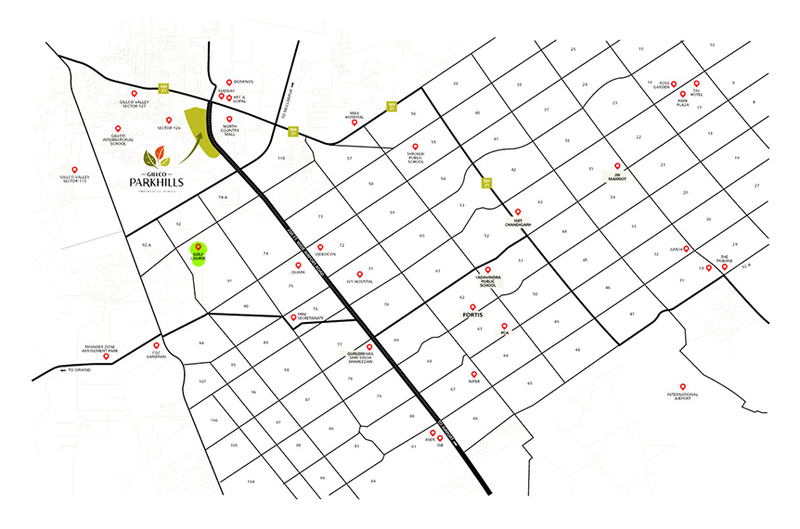 Most importantly, the location gives you breath-taking view of the Shivalik Hills and makes your heart swell with awe. 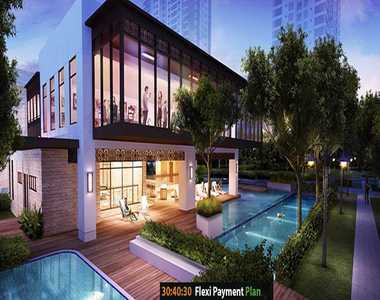 This residential complex will offer you complete joy, peace and happiness for years to come. 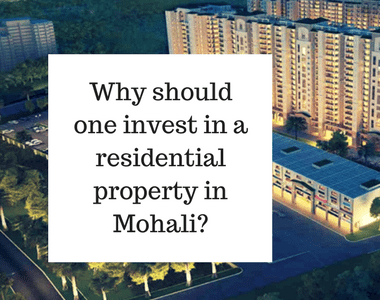 So, don't miss a chance to live at the most desirable place in Mohali. Location enjoy close vicinity to existing and upcoming Malls (North Country Mall), International Airport. Conveniently Located on 200 Ft. Airport Road. High Rise Development with Basement and stilt level parking. Wooden Tiles in Master Bedroom. Modular Kitchen with Chimney, Water Purifier & Geyser. Advanced fire systems for safety.